Italian police arrest 20-year-old ISIS member who threatened to bomb churches in Italy, including St. Peter's Basilica. 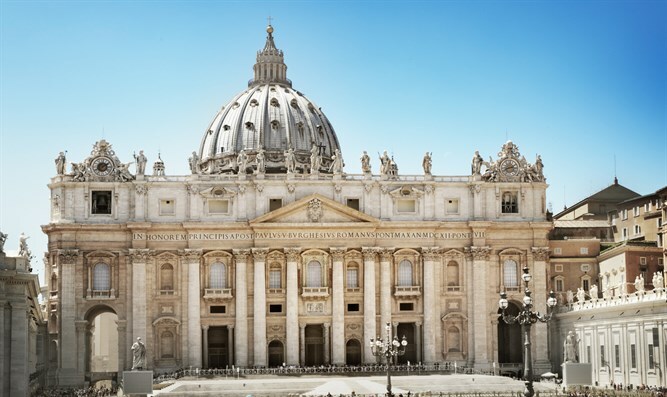 Italian police said on Monday they arrested a 20-year-old Somali man suspected of having been a member of the Islamic State (ISIS) and who had threatened to bomb churches in Italy, including St. Peter's Basilica in the Vatican. According to Reuters, police told reporters in the southern city of Bari that the man, identified as Omar Moshin Ibrahim, was detained last Thursday and was charged on Monday with instigating terrorism and supporting terrorism. Police said Ibrahim was stopped following a month-long surveillance operation as he was about to leave Bari where he worked for a cleaning company. The investigation, they said, included wiretaps in which Ibrahim was heard telling someone, "Let's put bombs in all the churches of Italy. Where is the largest church? It is in Rome." In another conversation, they said, he was heard praising those who "killed on the path of Allah" and hailing last week's shooting attack at the Strasbourg Christmas market in which a terrorist killed five people. Police added that the man used the alias of Anas Khalil and called himself "Yusuf" on social media, and had arrived in Italy in 2016. He was suspected of having been an ISIS member previously, according to Reuters. Italian police have increased security around churches, including St. Peter's, ahead of Christmas, which draws big crowds to the Vatican area. While Italy has so far not suffered any terror attacks by ISIS adherents, Italian ties to a number of recent attacks have raised questions about whether the country is being used as a logistics base. Last year, Italian security forces arrested a Tunisian terror suspect who had fought in Syria and is believed responsible for radicalizing his elder brother, who later stabbed two women to death in France. The Berlin Christmas market attacker, Anis Amri, also Tunisian, was killed in Milan days after the attack, although there was no evidence he was receiving logistics support in Italy. In addition, the London Bridge attacker was a Moroccan-born Italian who previously lived in Bologna, and one of the Bataclan attackers in Paris had traveled through Italy before the deadly attack.